We continue to present the applications taking part in this year’s Prime Zone Cup (page in French). This internal challenge, organized since 2012, each year brings to the public new apps designed and created by employees and partners of the Orange Group. This is the last episode of this year’s series. We finish it with four useful apps that can save your time and help you make an impression on others. Three of them have been recently published and are available for free through Orange Labs Prime Zone. Use the colors around you to fill your soul. 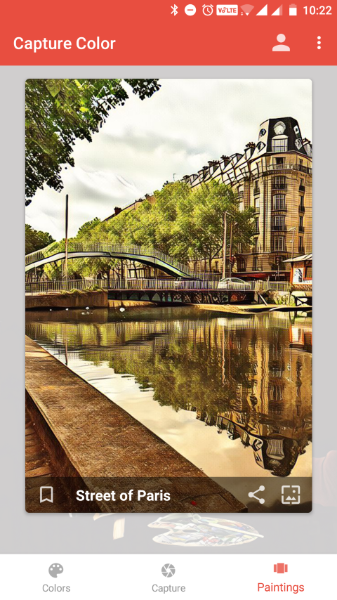 This application allows you to take a photo of different categories of objects to get an initial image with grey tones of the same category. Then you take photos to collect “color droplets” corresponding to the major color of the photos. By using a required amount of color droplets, you fill the colors of the initial image. When you make the final photograph, you can set it as wallpaper or share your achievement with friends via Facebook, Twitter, etc. See the working of Capture Color in this short clip. The transcription of your phone calls. C’est noté ! (‘it’s noted!’) simply transcribes your conversations into text. As soon as the user ends a call, the application makes available its transcript. Application not published yet. You can test it after subscribing here. Shopping assistant: your favorite brand’s offer in a minute! 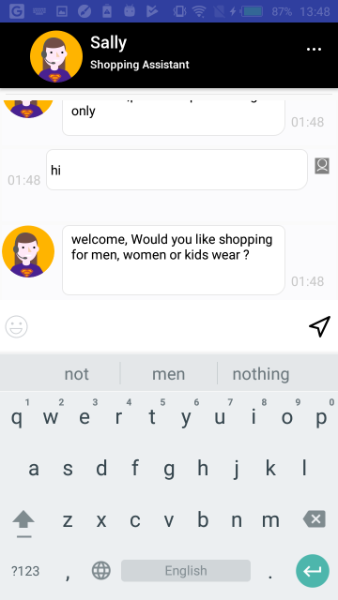 Inside Shopping assistant there’s Sally – your shopping chat-bot, whom you can ask about the best offers or coupons for any product, brand or business category. Shopping assistant is also smart enough to pull suitable products from popular e-Commerce websites and suggest them to you over chat. Take notes and easily format them with Pandaroo, share or export into text in HTML or PDF format. The analysis tool counts the words, flags the key words and prepares a summary of your text. Pandaroo speaks English, French and Russian and requires iOS 10.3 or later. Starting from June 1st, during 2 weeks, you can vote for your favourite app (competition page in French). Users’ ranking will be published along with the verdict of jury.